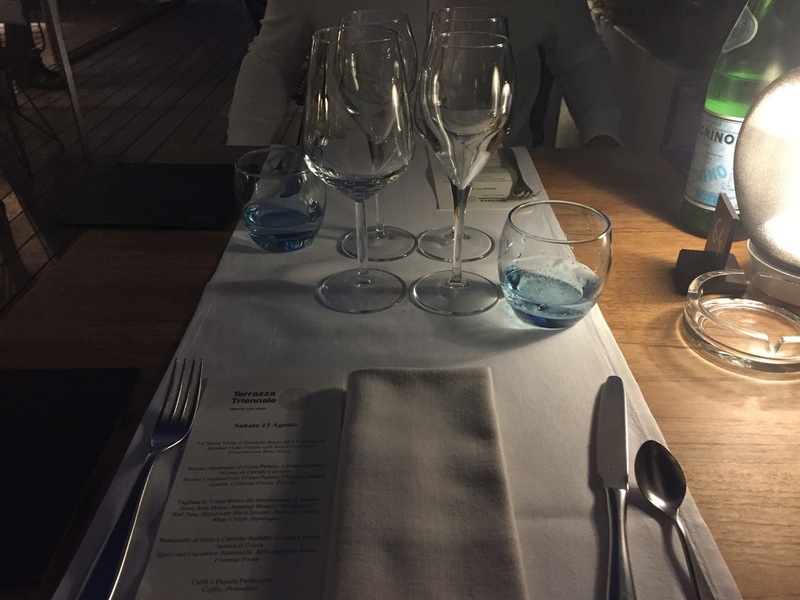 You are looking for the perfect dinner location in Milano? Then it is a must to eat at the magnificent Terazza Trienale - Osteria con Vista. It simply offers a wonderful view over Parco del Sempione, the Central Park of Milano and the new business district with its landmark: the UniCredit Tower. After entering the museum, which felt like an Italian version of the movie "A night at the museum" we took the elevator to the top floor of the Triennale Museum. Once arrived at the entrance of this cool restaurant, we were seated directly at the front row and were welcomed by a friendly and typical italian waiter. Something we really love in an Italian restaurant. After enjoying the first impressions and having a bite of the homemade Foccacia and Grissini, the sommelier arrived to serve us a top-notch Fraciacorta (the Italian version of Champagne) by Castello di Gussago. 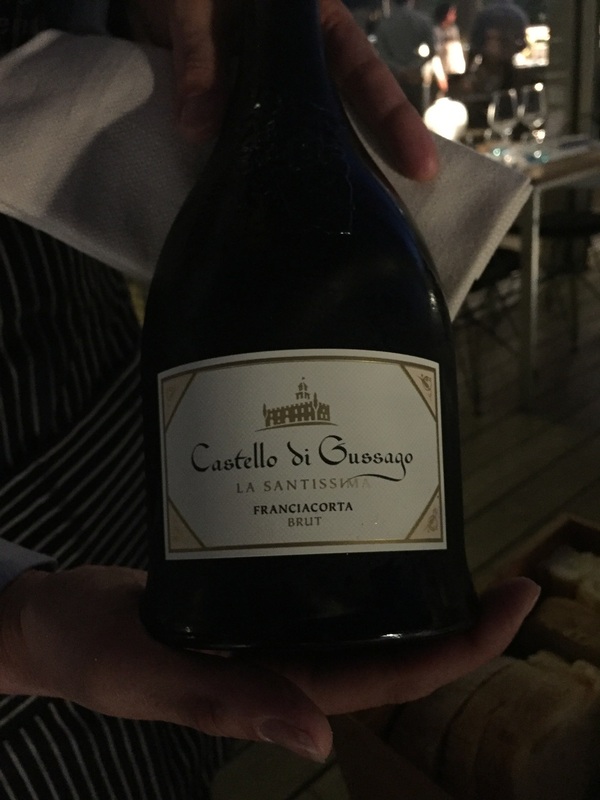 This sparkling wine was perfect to accompany the amuse-bouche, which was tatare of amberjack topped with curd cheese, caviar and kind of an orange powder. The first course consisted of mashed violet potatoes with red prawns and a Franciacorta wine sauce. A lovely combination, we take our hats off! 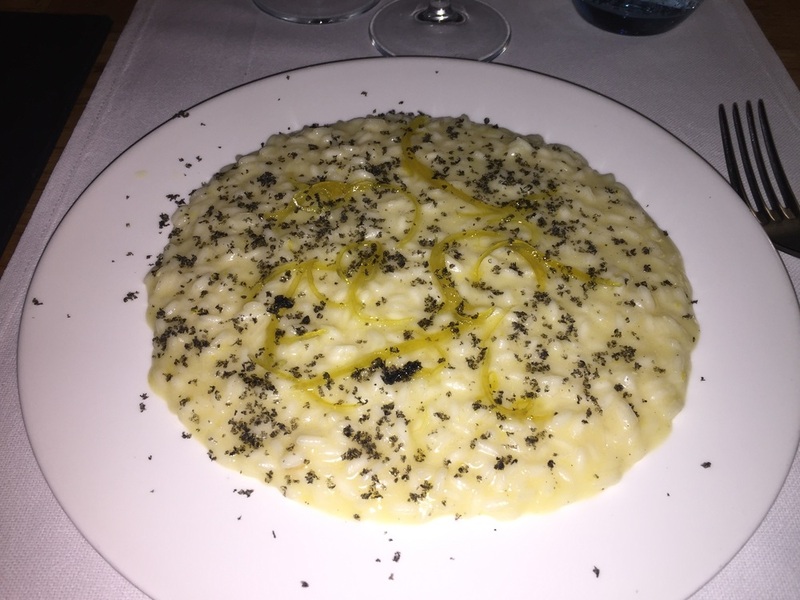 Risotto is definitely an eminence in the Italian cuisine. The primi piatti was a perfectly prepared one with grana padano, candied lemon stripes and calvisius caviar powder. The excellent risotto was followed by the main course, which was a red tuna in a wonderful sesame crust! The tuna steak was served with crispy asparagus slices and dried tomatoes. The dessert was lovely: fresh and gentle: An apple and cucumber ratatouille with milk and mint sorbet, topped with a coconut espuma. It felt so heavenly after such a hot day im Milano! For everyone who likes to go out after dinner we can highly recommend a gin tonic with our favorite Gin Mare! Afterwards you can happily promenade to one of Milans most famous clubs. For example the Old Fashioned or the Roberto Cavalli. Both just a little walk away and a lot of fun guaranteed! Benvenuti in Milano. We were guests of the Terrazza Triennale - Osteria con Vista, however all above written expresses our own opinion and has not been influenced.